Russell Brand wants to shake up the way you think – and with his new book, Revolution, he aims to challenge almost everything you think about… well, everything. Revolution is Russell’s way of pushing for change, and explores the possibility that individuals can make a world of their own choosing. And although he is known for his off-beat comedy, Russell delivers a balanced view of how the world works and how we can make it better. A former addict, Russell draws on his own experiences – as well as those of the addicts, stars, friends and foes he has met on the way – to draw conclusions that are surprisingly refreshing. 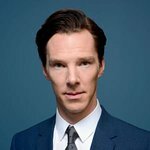 And along the way he spills the beans on the trappings of celebrity – in particular his experiences with celebrity charity events – and weaves in his thoughts on quantum physics, meditation, yoga, politics, corporations and everything in between. Russell is in a unique position to give his take on the way of the world – he works hard to help addicts, and has joined David Lynch in bringing meditation to at-risk youth. Friendly House honored him as Man Of The Year in 2011, and he has supported causes such as grief support, Multiple Sclerosis research, and Post-Traumatic Stress. Revolution is a self-help book with a difference. It doesn’t take itself too seriously, and yet its ideas work and give food-for-thought. It is a call-to-arms for those searching for a change from their day-to-day lives but don’t know where to start. 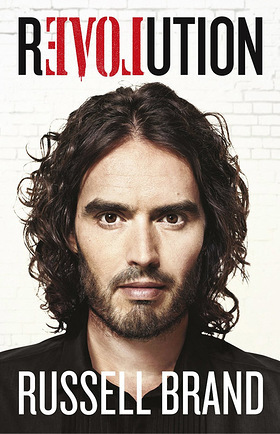 Russell Brand’s Revolution is available at Amazon.com, Amazon.co.uk, and wherever good books are sold.